True to its mantra, the SMSA Library holds a number of out-of-print works by mystery and crime authors. I read The Chinese Bell Murders and The Chinese Gold Murders by Robert Van Gulik having stumbled across both small books elsewhere and was delighted to find the Library offering these two plus Poets and Murder, The Chinese Lake Murders and The Haunted Monastery. Van Gulik was a Dutch diplomat (1910-1967) posted all over the world but particularly to Japan and China. 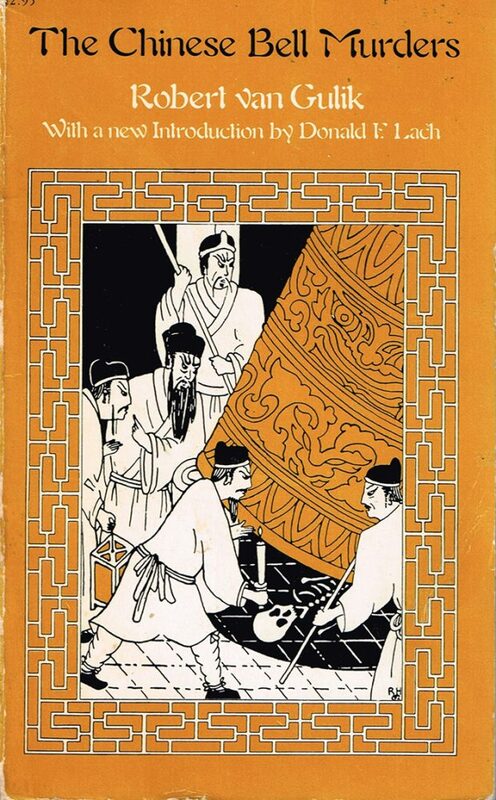 A collector and translator of ancient Chinese detective fiction, he came across records of the real life Magistrate detective Judge Dee (the subject of other authors and films in the modern day) and set about writing a series of Judge Dee stories. Set in seventh century China, each book encompasses three, often intertwined, criminal cases which the Judge and his assistants resolve with alacrity. The author, having lived in the country for some years and with keen powers of observation, managed to imbue his stories with a fairly accurate description of Chinese provincial life of that time. It is for this reason I found his stories charming and well rounded, notwithstanding their initial publication in the late 1950s and reprint in the mid-1970s. Recommended for historical crime fans. Robert Van Gulik’s novels have also been reviewed by former SMSA Director, Tom Thorburn. You can read his review here.